Is your soul trying to get your attention? Synchronicities and so-called coincidences are clear signs that the Divine Source is knocking on your door. Sometimes it could be a soft tap or for those times when you’re not paying attention, it could be a loud bang! When source works through synchronicities, it can manifest itself in some pretty unique ways. I have my own definition and refer to them as my divine nudges. For example, it’s when I hear the same phrase or saying from more than one person in a day? It’s when the same numbers keep showing up in your life? Has someone mentioned the same person you were just thinking of? Have you met someone out of the blue who seemed to answer a question that you were just pondering? How to tell if it is synchronicities? These are all just signs for you, and I encourage you to pause, be open, and pay attention but most importantly, acknowledge that the source is sending you a message. These are not just coincidences! I don’t believe there are accidents in this intelligent universe. It’s times like these that you should ask yourself: “What am I supposed to be learning or doing right now?” I feel when these synchronistic events happen, it’s the inner workings of your soul showing up in your outside physical world. 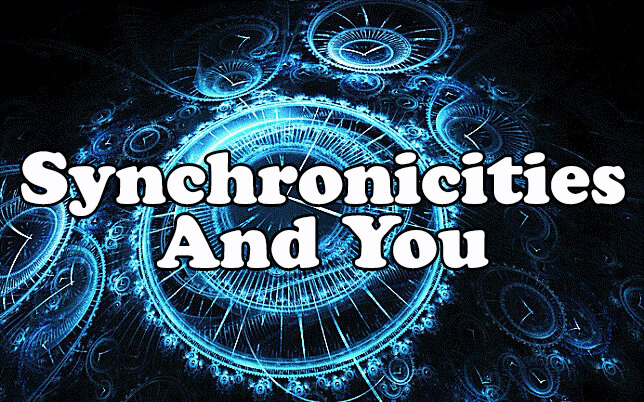 This week try to notice if synchronistic events are happening around you and your life. Here are a few tips to assist you to Begin to notice and act on those divine nudges. Work with your journal and intuition to become even more aware when source is knocking on your door. This article maybe the first from me you have seen, you may have had this forwarded to you from a friend, or someone might have simply had you read this after you just told them of a so called coincidence that has or keeps showing up in your life. You were meant to receive this newsletter with this message. This is another example of synchronicity trying to get your attention. About the author: John Holland is an artist, author, public speaker, and psychic medium. To learn more about John Holland, visit http://www.johnholland.com.